My son and daughter play very differently. For our daughter, free play and independent play time comes very naturally for her. She doesn’t need much encouragement to explore her surroundings and find things to play with on her own. Then my son came along and it was a different story. It could be personality, birth order or both, but he always needs some encouragement to engage in free play. For the first 18 months of his life he didn’t play with toys. He also never wanted to play alone. He wanted me or Izzy to be by his side showing him how to play or directly interacting with him. This is almost impossible to keep up with and exhausting as a mom! I desperately wanted him to learn how to play. I knew independent play time took time, but why was it taking so long!? Along the way, I found a few things that helped him in this area. 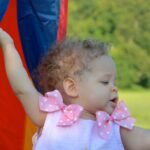 Keep reading to learn how to help your toddler! Second, kids may need help getting started on an activity. After we decided what to play, I would go over and model how to use the toy to my son. After a few minutes of engaging in play, I slowly backed away and let him explore on his own. As you introduce independent play slowly increase the amount of time you expect your child to play. You can start with 5 or 10 minutes and eventually work your way up to 30 minutes. It may not be realistic to expect your toddler to play independently for 45 minutes! Don’t give up and don’t stress if it doesn’t happen right away. I thought my son would never play with a toy because he didn’t seem interested. One day it just clicked and he started to engage in unstructured play by himself! Lastly, don’t push play or toys on your child. Don’t get me wrong I love a good Pinterest craft or toddler activity, but sometimes it’s too much. Simple is better for toddlers. They don’t need elaborate toys or play scenarios to learn, engage and explore. Don’t let Pinterest make you believe you aren’t doing enough to encourage creativity, learning, language in your children! So now that we know how to encourage independent play, why should we do this? 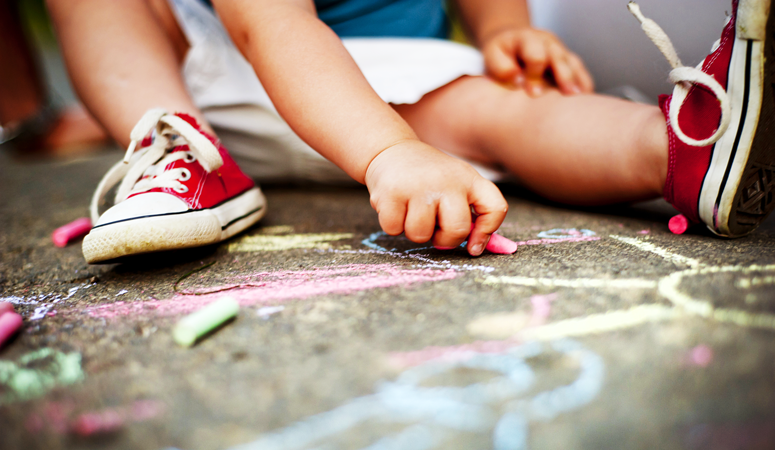 First, it builds creativity: When children are given time to explore their surroundings they often don’t need toys. My kids love to dig in the dirt, chase butterflies, build with play dough, create with messy finger paint and pretend the living room floor is an ocean. I’m not saying I never give my kids toys, but I’ve found they often like non-toys best. Kids naturally have great imaginations. 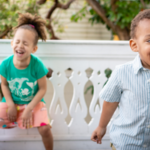 As they enter preschool age they will enjoy “pretending” and making up their own play. Free play builds creativity and imagination. It builds independence: As parents we are often quick to jump in and help our children when they are struggling. I remember when my daughter was first learning how to use a shape sorter it was so hard for me to watch her struggle. I wanted to quickly show her where the shapes went. When we give kids time and space, we allow them to build problem solving skills. Unstructured free play is a great time to engage in trial and error and figure out how things work. It’s good to give kids independence and allow them to explore the world in their time. It’s great for learning. You don’t need to have a specific lesson plan or printable to create a great opportunity for learning. As kids touch and explore the great outdoors, they learn! So many things in nature provide sensory experiences. You can talk to your kids about what they see, feel or smell, but don’t feel pressure to make everything educational. It should be fun. 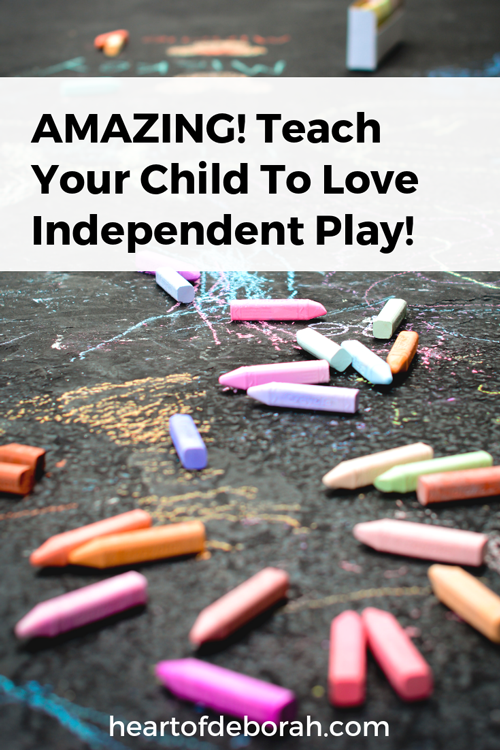 Even without a lesson plan your kids are learning by playing. It’s easy & free. Unstructured play doesn’t take any planning or effort. Just head outside and run around. Most of the time, my kids make up their own activities without much intervention. Sometimes they enjoy just walking around or rolling down the hill over and over again. You don’t need any special toys. Your child gains sensory input by running through the grass, picking up rocks or splashing in puddles. Fancy accessories or toys are not required to create a great learning experience. It’s free exercise. Growing up my dad used to park in the furthest spot in the parking lot (and not because we had a nice car! HA). He would joke that it was “free exercise.” Getting outside is great for your health and your kids health. We all need a break from technology. I understand we live in a different world today and we can’t let our kids roam the neighborhood like the good old days. But that doesn’t mean we should never go outside. Find a space that is safe for you and your family. Whether it’s a nearby park or your own backyard find a space where your kids can run free. Fresh air does wonders for the soul! Unstructured play time in your daily schedule is so important and once you get into a routine you won’t need elaborate crafts or toys to have fun! So what about you? 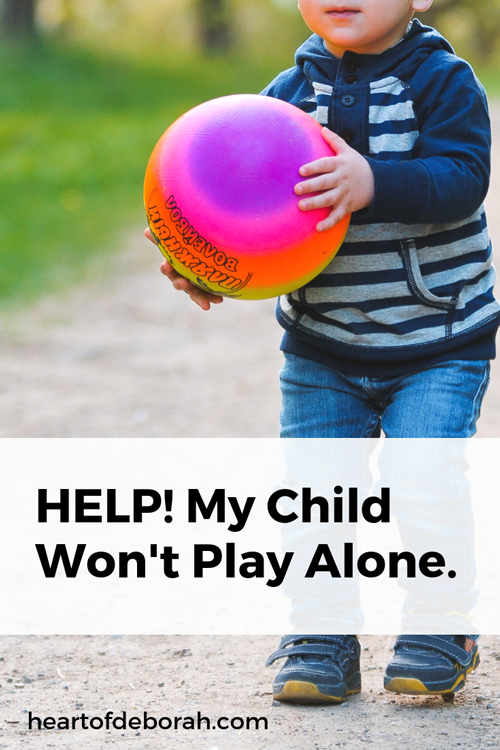 Does your child struggle to play independently? How do you encourage free play? I’d love to hear from you in the comments below. Be sure to follow Heart of Deborah on Instagram for more practical parenting tips and to keep up with our latest adventures. What is your favorite way to encourage free play?